This yarn is a cotton popcorn boucle wound around a rayon base thread. 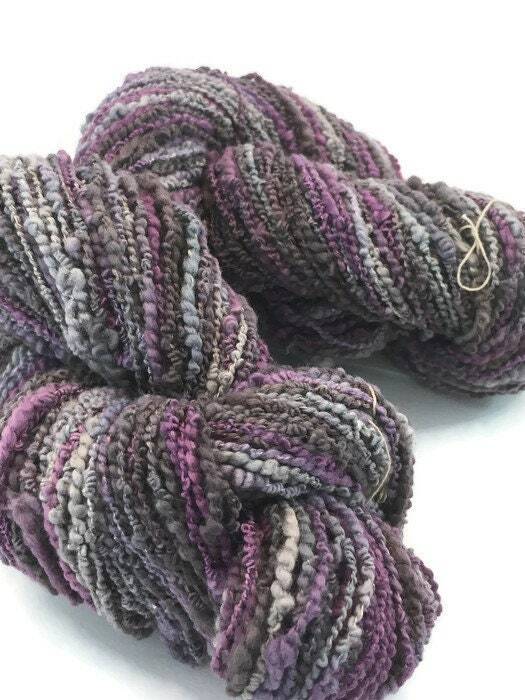 Colors are lavender, purple, light grey, and charcoal. 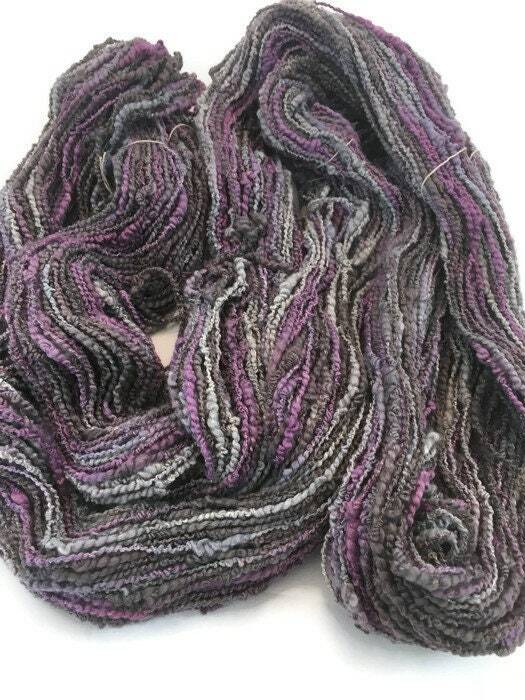 There is a lot of texture with this yarn. 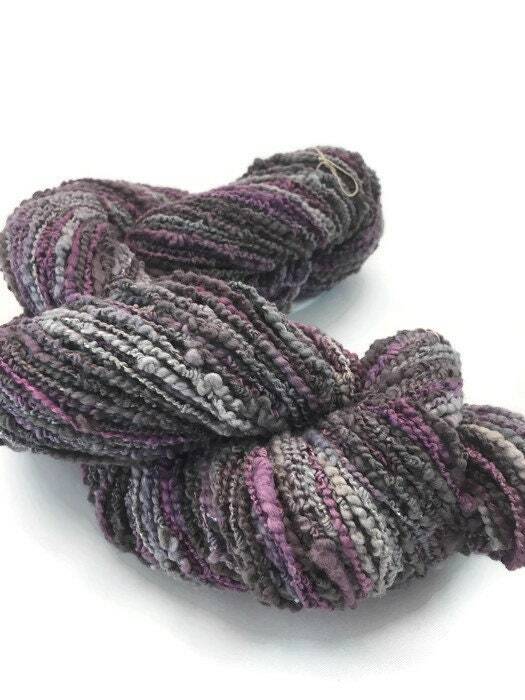 Each skein is 200 yards and weighs approximately 3.6 ounces. 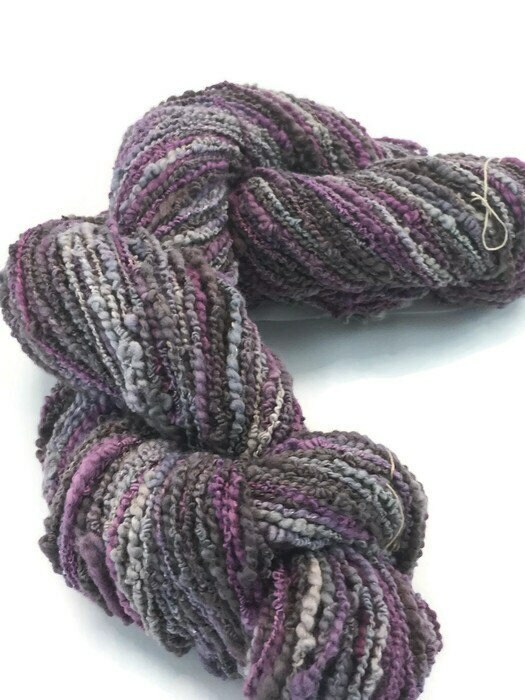 I also have 20 yard mini-skeins. 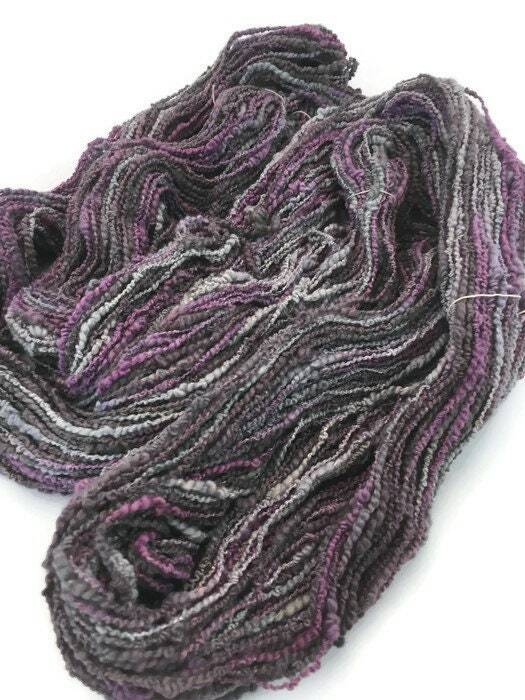 It is a DK weight yarn and wraps at 12 wraps per inch.